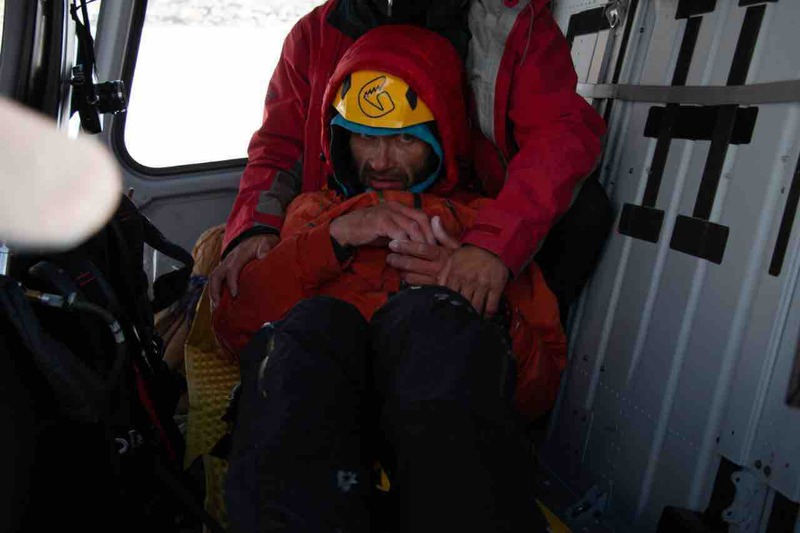 Alexander Gukov, 42, is safe after spending nearly a full seven days at 6200 meters stuck on the North Ridge of Latok I (7145m) in Pakistan. He was stranded since July 25 when his partner Sergey Glazunov, 26, fell to his death while rappelling with most of the gear. 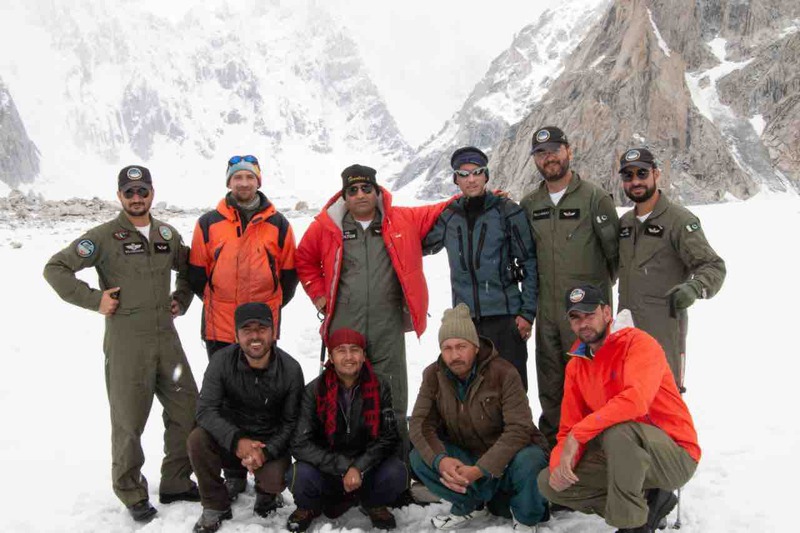 A rescue team was assembled by July 26 but the helicopters were unable to fly until July 31 (Pakistan Standard Time is approximately 12 hours ahead of US Mountain Time). When the weather finally cleared, Askari Aviation pilots were able to hover and get a longline to Gukov. The formation [of two Ecureuil B3 helicopters] took off from Skardu...at 0455hours and arrived at Latok BC around 0530hours. They passed by Jhola Camp to lighten...the helis. At Latok BC, the pilots decided to first run a search mission to identify the exact location of Alex. The fixed line was connected to the B3s at the BC (but the sling was kept inside the heli) and the helis took off for the mission at around 0545hours. Fuel was taken off at BC to lighten the helis and make a fuel depot at the BC to be used later for rescue attempts during this operation. The Ecureuils went up the mountain and flew for around 45 minutes at 6300 meters before spotting Alex on a narrow ridge. Due to heavy snowing, the orange tent was under snow. The plan for the first attempt was to spot Alex and [recon] the terrain before coming down to BC and then going back up again for the extraction mission with the right fuel load. However, once Alex was spotted, the B3s had enough fuel left to attempt one sling operation. The pilots decided to go for it. The weather was good but the strong winds were constantly creating turbulence for the B3s. It was difficult free-air hovering with these strong winds at that altitude. However, for once Nature was helping them out. The outside temperature was -8 degrees and this helped them free-air hover at 6300 meters (according to their calculations, ideally they needed -10 degrees). In the last couple of days, the temperature was much higher. One heli threw the sling [while] hovering close to the ridge. The other B3 was hovering right behind him giving adjustment instructions about [the] sling end with D ring to the lead heli. Thus the two B3s worked in tandem. After trying for 15 minutes, Alex finally managed to get hold of the sling and connected the D ring to his harness. The heli flying back confirmed the safe engagement and instructed the lead heli to pull off with Alex attached. The fuel level was getting critically low by then. However, it was touch and go as Alex had forgotten to remove his anchor to the mountain. Thus he found himself connected to the sling of the B3 on one end and Latok to the other as the mountain refused to let him go. The pilots were extremely lucky as Alex's Latok anchor finally gave away releasing him. The B3s pulled out and brought Alex to safety at the BC from where he was taken directly to CMH Skardu. "All these efforts over seven days...were not in vain!" Piunova told Alpinist. Gukov and Glazunov had set off for a summit push from 5512 meters on July 15 with only five days of food. After getting pinned down by snowy weather and making a failed summit attempt on July 22, they started descending the ridge. A helicopter dropped them additional supplies on July 25, the same day that Glazunov fell. The battery on Gukov's Iridium device, which he'd used to send an SOS signal after the accident, failed on July 26, cutting off communication. 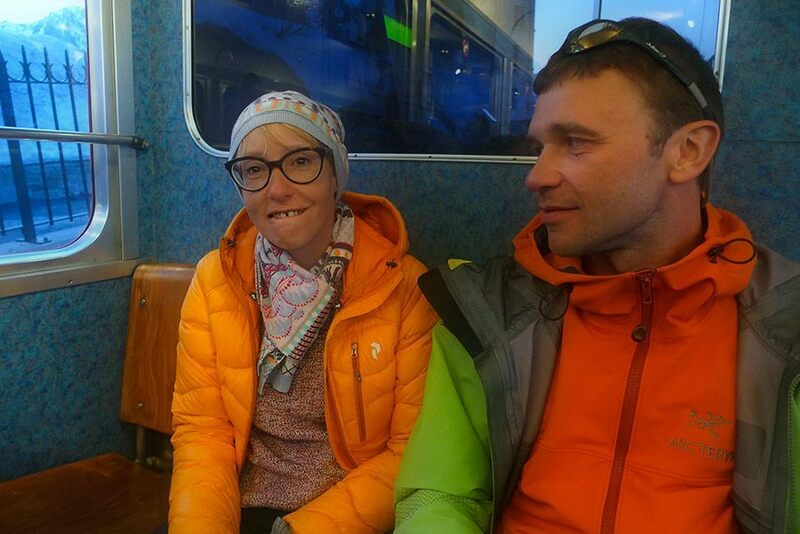 Vitya Koval, a member of Gukov's expedition who was attempting a different route on the mountain when the accident happened, told Piunova that Gukov said he was on the verge of hallucinating on the third day without food, and that his legs were frozen, buried in snow because he didn't have the strength to dig them out. 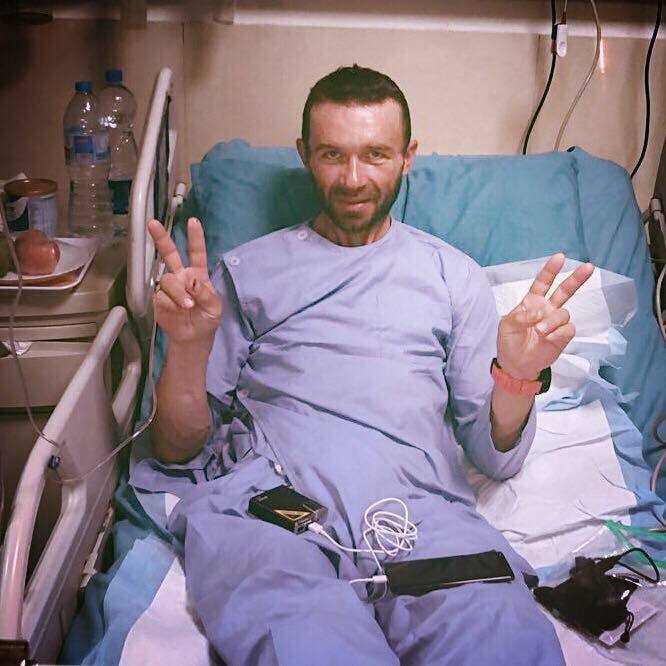 Piunova wrote on Mountain.RU that Gukov was "very weak and talking with difficulty" in the Skardu hospital but was doing well overall. 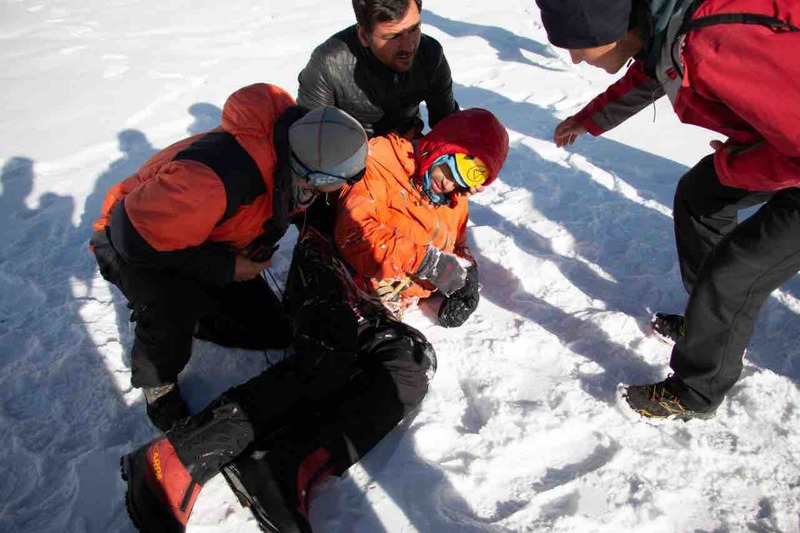 She later told Alpinist that he was dehydrated and has some minor frostbite that likely won't require amputation. 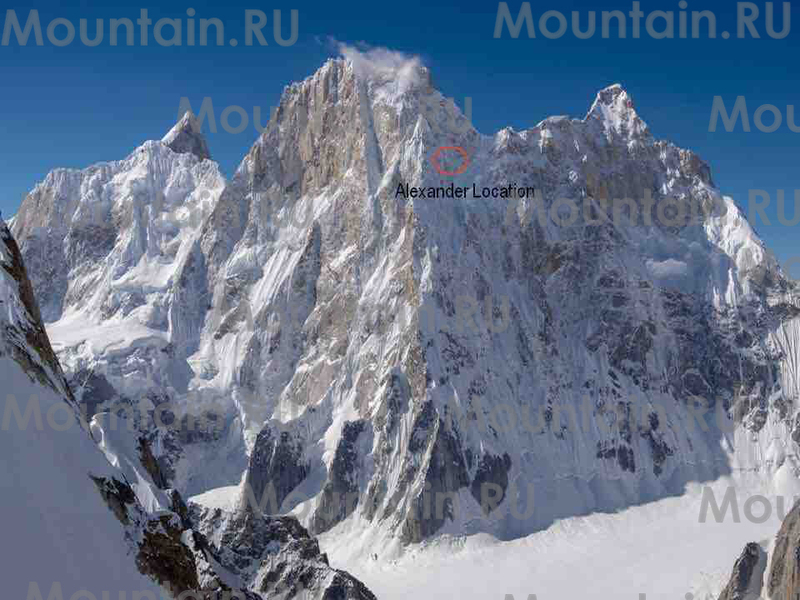 Sergey Glazunov was known to climb with his brother, Eugeny, and the two completed a climb on Chon-tor in 2016 that is noted in the 2018 American Alpine Journal. Eugeny was originally planning to join the Latok expedition as well but he had to cancel one week before his departure, which led to a change in the team's tactics, Piunova said. More background about this story and the history of Latok's North Ridge can be found here.